In Colorado, you must have the required paperwork to register or title your newly purchased car. 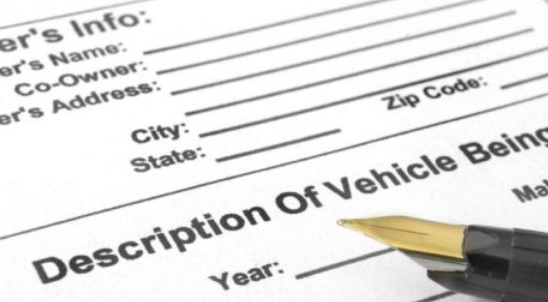 If you buy a car from a registered dealer, they will handle all the paperwork on your behalf. But if you buy it from a private seller, you will have to handle the paperwork yourself. You must obtain the certificate of title and complete the required paperwork to register or title the car with the DMV in Colorado. A signed copy of the certificate of title bearing the name of the seller. If you purchase a truck that has been in operation for some time, you will need notarization of the signatures. You can fill Form DR 2445 (Statement of Transfer) to have the notary process skipped. Make sure the buyer section includes your name and address. A bill of sale containing the name of the buyer, the purchase price, VIN, model, year and make of the vehicle. A VIN verification if the car was purchased from outside of Colorado. Emissions inspection certificate for those living in areas prone to emissions. In Colorado, you cannot buy or sell a car without a title. Generally, the title shows the sole owner of the vehicle. So, you need it when registering your vehicle or re-titling it. Nevertheless, there are a couple of exceptions. For instance, when purchasing a vehicle from Canada or when you have a certificate of origin from the seller. You can use this certificate to register your vehicle. If you buy a vehicle without a title, you need to pay a surety bond to establish ownership. When you purchase a new or used vehicle from a dealer, they will be responsible for paperwork handling. They will complete the required paperwork and submit the required fees on your behalf. The bill of sale is an important document that you must obtain from your seller. This document serves as proof of vehicle purchase and protects you when questioned about sales tax fees. The emissions inspection certificate if you live in areas prone to emissions. A signed copy of the certificate of title. Proof of identification, such as your Social Security Number, Colorado driver's license or national ID. Payment for taxes and fees, which vary depending on vehicle size, weight and purchase price. There is a possibility of purchasing a defective vehicle if care is not taken. To avoid such mistakes, you must request a Vehicle History Report from the DMV. This report contains the vehicle information, including the accidents involved, repair attempts, odometer readings and other vital information. Many dealerships provide this report, but to be on the safer side, you need to order this report yourself.